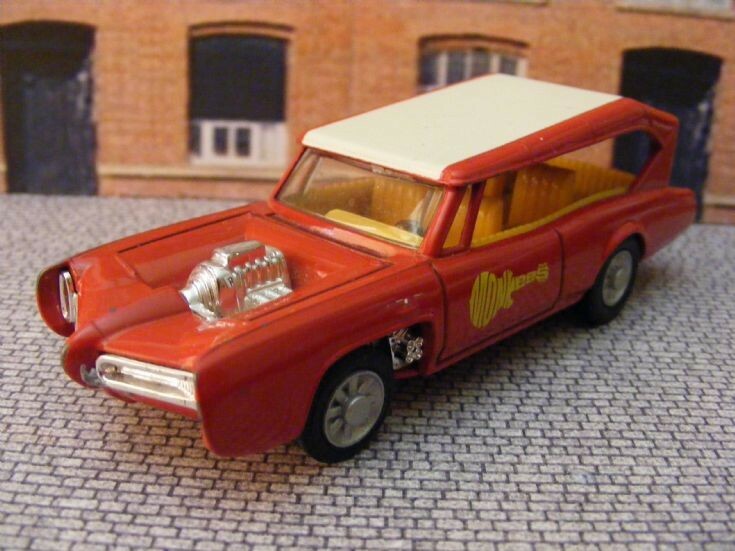 This is the 'Monkeemobile' a 1966 conversion of a Pontiac GTO Convertible for the famous four to use on their show and for promotional work. Two actual conversions were completed and this 1:43rd scale model is by Corgi Toys under modl number 277 which was produced between 1968 and 1974. The model is a acquired with very little wear. Added by Bethony on 28 April 2014.